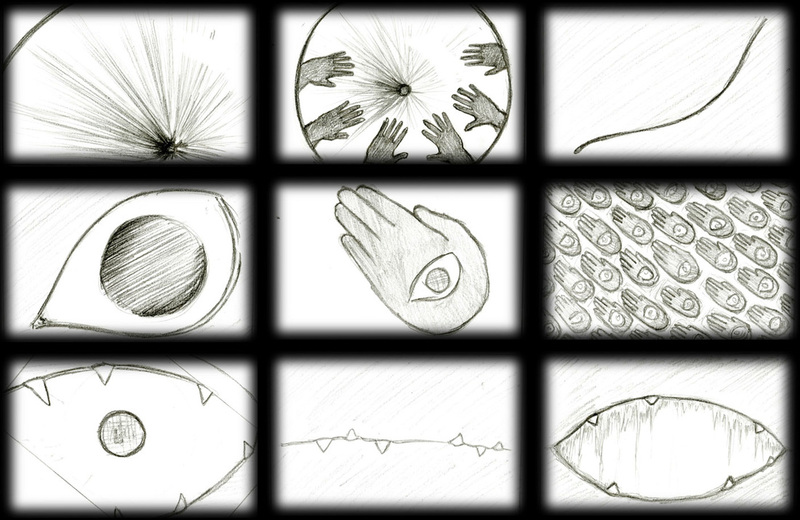 12second animation + storyboard from Dawud Ali on Vimeo. llustration in Photoshop and animated in After Effects. Sound and Image: Sequence 21 of 35, sound and image, and transitions. 12 second animation, a collaborative piece between 35 other students who produced their own 12 second, then we stitched the clips is sequence. Final result O.o pretty darn good. My sequence featured a repetition of 'we want your soul' so I interpreted the visuals as control along with the masonic conspiracy theories. Storyboard: for we want your soul. These are some of the key frames.